Shubert Mwarabu uses his music and unique engaging personality to create awareness for the continued conservation of Tanzania’s elephants. He is the founder of Vijana na Uhifadhi or Youth in Conservation. Shubert Mwarabu is also a 2017 Mandela Washington Fellow for young African leaders, and an Ambassador for the African Elephant Coalition and Generation Awakening. Shubert Mwarabu was appointed to the 2016 GMFER CITES CoP17 panel, he attended and sang at the Ivory Crush in New York in 2017 and was invited to present in Hong Kong at Legislative Council on behalf of GMFER, Aquameridian and Future For Elephants during the process of calling for the total ban of the trade in ivory in 2018. We, have a global responsibility to give young African leaders the tools in order for them to find creative methods to hel conserve the remainingvwildlife in Africa. 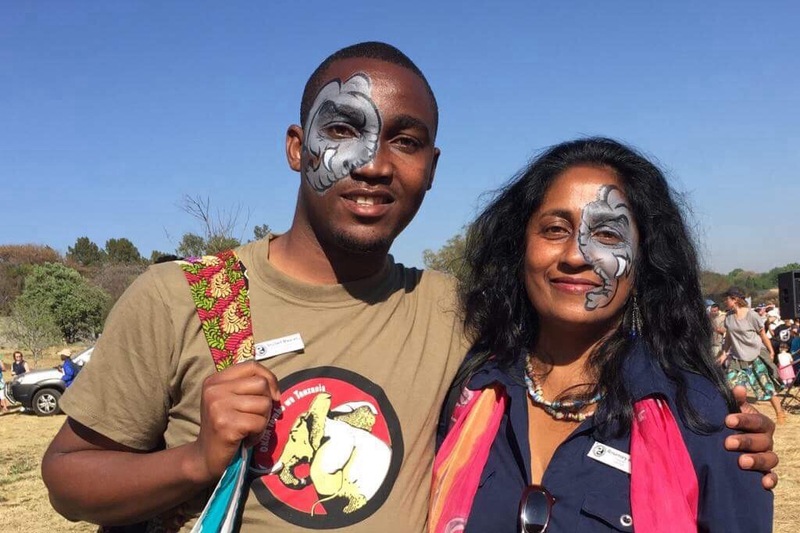 They have the ability to connect and spread a unique conservation message to their fellow citizens. Shubert Mwarabu has a large and dedicated captive audience. He has proved time and time again on international platforms that he had the ability to grab peoples attention. HELP GMFER ACHIEVE HIS GOAL so that his voice can easily be heard all over Tanzania and Africa. We want to provide him with equipment so that he can produce podcasts. Podcasts are an excellent way to develop an intimate connection with listeners. Hearing Shubert Mwarabu speak on a one to one basis will humanize his conservation message and grow his relationship with his fellow Africans. A podcast is a recording of audio discussion on a specific topic that can be listened to. Podcasts can be listened to on iTunes and Spotify and they can be hosted on websites. This dynamic medium could be the perfect way for Shubert Mwarabu to deliver his weekly dose of elephant conservation inspiration wherever his audicience might be.